Importantly, the research found that increased Government funding for affordable housing — which has fallen dramatically from 50% of the cost of building a home before the financial crash to just 12% today — will add to, and not displace, existing investment from the private sector. The report findings come as growth of the big nine private housebuilders — who are currently responsible for some 40% of new completions — continues to slow. 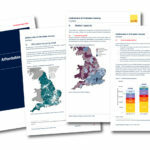 As well as investment in affordable housing, the report calls for more joint ventures between the private sector, councils and housing associations, and increased use of long-term funding models such as the strategic partnerships rolled out by Homes England and the Greater London Authority. The research shows this would help ensure new funding adds to overall delivery. Paul Hackett, Chair of the G15 and Chief Executive of Optivo, said: “Increasing grant funding for affordable housing will reduce the market risk that housing associations are currently exposed to and help us build during downturns. Kate Henderson, Chief Executive of the National Housing Federation, commented: “This research shows that relying on private developers to end the housing crisis is fatally flawed. Without Government investment in affordable housing, it just won’t be possible to build enough homes to ensure that everyone can have somewhere stable and affordable to live. Carol Matthews, Chair of Homes for the North and Chief Executive of Riverside, added: “Savills’ report demonstrates that, whilst housing market trends play out differently across our regions, the need for long term funding certainty to develop much-needed new homes needs to be recognised throughout the country.